The purpose of this post is not to dispute, condone or convince anyone that amulets and talismans work or should be used. The purpose of this post is to provide historical and educational information concerning the history, cultural and religious uses of amulets and talismans. It is up to each individual to determine what he or she believes to be true and whether to choose to use an amulet or talisman. There are many religious followers who disaprove of the use of amulets and talismans and many who use them and believe in their powers. It is not our intention to promote, encourage or discourage their use, mearly to provide information related to them for learning purposes. Your doctrinal or religious beliefs and choices are your business. Amulets have been around since Antiquity began. Ancient cultures as well as present day cultures use a varitey of different amulets and talismans for a varity of reasons. The most common being protection. It is believed by many religions and cultures that amulets ward off evil spirits and influences. Ancient Egyptian, Babylonian, Assyrian, Arab and Hebrew cultures placed great importance on amulets. Modern religions and cultures continue to use them and believe in their powers of protection. There are many different forms, designs and types of amulets, so many that I could never list them all in a blog post. However , the most common types are natural stones and crystals. Metals such as silver and iron are also widely used and believed to have protective powers. Most are used to repel evil spirits, demons, negative energies, witches, sorcerers and anything harmful, especially related to the supernatural. Many amulets are made by the wearer and hold significant meaning to the individual. Amulets are also found in the form of stones, bells, chants, songs, herbs and many others. 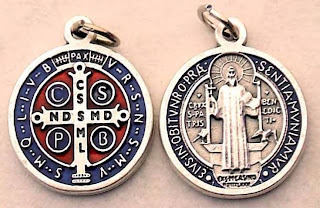 In the Christian traditions, amulets include the cross, crucifix, rosary beads, chants, Saint medals such as the St Benadict and St Christopher medals. The cross predates Christianity by many centuries and is one of the oldest amulets in the world. The sign of the cross was used by early Christians for protection and as a means of identification to each other. It's most common form being four arms of equal length rather that a T shape. According to legend, the original cross of Christ was excavated in Jerusalem by Emperess Helena, mother of Constantine I. Helena is said to have tested 3 crosses found at the site, on the corpse of a man. Only one of them brought him back to life. Helena concluded that this was the cross of Christ. She is said to have sent a portion of the cross to Constantine, who sent a portion to the Vatican in Rome where it is still preserved. Helena reburied the remainder of the cross. 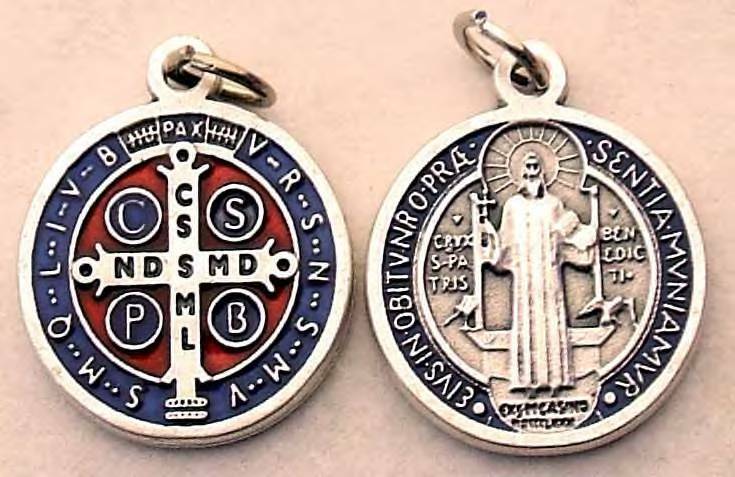 Small bits of the cross were made into amulets and were highly prized. According to most Christian belief, nothing can stand up to the power of the cross. 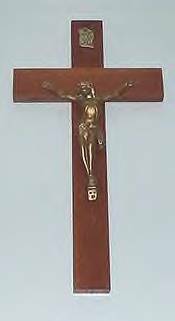 The cross was and still is used to help excorcise demons and devils, to prevent bewitchment and possesion. And used by some to repel vampires and witches. During the Middle Ages, inquisitors often wore the cross or made the sign of the cross when in the presence of accused witches in order to ward off any evil spells they might try and cast on them. The cross in hot cross buns is said to be a remnant of the medevil practice of making a cross in the bread dough to protect against evil. Victims of demonic possession are said to recoil at the cross and the practice of holding a cross behind the head is done to determine if a person is possessed by a demon. 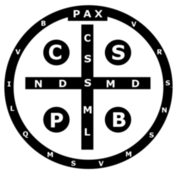 In the Catholoc rite of excorcism, numerous signs of the cross are placed on the victims forehead during excorcism rites. Vade retro Satana! Nunquam suade mihi vana! Sunt mala libas. Ipse venena bibas! a similar translation for :Vade Retro Satana being "Step Back Satan"
Ancient Jews wore amulets around their necks that contained slips of parchment on which the laws of God were written. The Torah, comprising five books of the Old Testament of the Bible, is among the copies of holy books including the Bible (Christians), Vedas (Hindu), the Koran (Muslims), and the Avestar (Zoroastrians) believed by the faithful to bring good luck and to ward off evil. According to the Kabbalah, a person’s soul is created from twenty-two letters. Thus, each Jewish amulet and each attempt to help man through acceptance is accomplished with the help of letters. 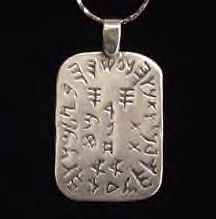 Using a version of Hebrew that is over 2,900 years old, the artists at Genesis Creations of Israel reference symbols used by Kings David and Solomon to create this amulet at right. They share that this amulet "against the evil eye" strengthens all kinds of will powers, so strong that all outside (stranger's) wills and influences (evil eye) cannot make any changes or cause damage in life. It creates spiritual independence. A favorite contemporary Muslim amulet consists of a square-inch miniature of the Koran enclosed in metal and worn around the neck. Muslims also believe they gain power by wearing amulets inscribed with a form of the name of Allah. The names of God and magical words and numbers have generally been thought to provide protection and fashioned into amulets. These methods of gaining protection extend back to antiquity and were extremely popular during the Renaissance to the early 19th century. Accompanying these were the grimoires, books of magical instruction written for and by magicians. In magic, using the name of a deity is the same as drawing down divine power. This is the reason why portions of grimoires resemble prayer books. The Tetragrammation, the Hebrew personal name for God- -YHWH and pronounced Yahweh"- - , is believed to be very powerful in magic operations and has been fashioned into amulets by different spellings. It is believed to help magicians in conjuring up as well as expelling demons and give him protections from negative spirits. By the time the Roman Empire was established in the first centuries b.c.e., amulets had a long history of being worn for luck and protection. Egyptians considered amulets necessary for protection of the living and the dead. An amulet with a heart on it was often placed with the dead to help represent them in judgment about their fate in the afterlife. Likenesses of scarabs (a kind of beetle) were also prominent. Egytian Scarab Beetle - To ancient Egyptians the Scarab was a powerful amulet of the Sun god, emboding the force that pushed the sun through the sky and therefore represented the power of the life force and the mystical cycle of rebirth. 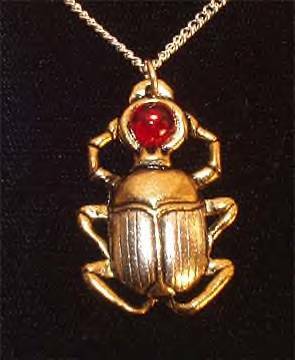 It symbolizes the power to create and is worn to draw courage and protection A scarab encloses an egg in mud or dung and rolls it along to a spot where it can be warm and safe. Egyptians considered this a metaphor for the journey of the sun each day. The scarab amulet became a common emblem for regeneration and was placed with the dead. The treasures of King Tutankhamen of Egypt (c. 1370–1352 b.c.e.) abound with crystals in the form of gems and jewels. They were intended for personal adornment, but they also had symbolic meaning: they were believed to possess mystical and religious powers. Today, crystals are still worn for decorative purposes in the form of gems and jewels; those who believe in the mystical powers of crystals wear them as amulets. The frog protected fertility; ankhs symbolized everlasting life and generation; the udjat, or eye, was for good health, comfort, and protection against evil; the scarab beetle was for resurrection after death and protection against evil magic. One of the most notable amulets of ancient Egypt is the Eye of Horus. Historically the two most universal symbols of amulets have been the eye and the phallic symbols. Eyes are thought to protect against evil spirits and are found on tombs, walls, utensils, and jewelry. The phallic symbol, represented by horns and hands, is protection against the evil eye. The Arabians, too, had amulets protecting them against evil. Small sacks containing dust from tombs were worn. They also wore pieces of paper on which were written prayers, spells, magical names or the powerful attributes of God such as "the compassionate" and "the forgiver." Prehistoric amulets representing fertility and animals have been found near some of the oldest known human remains. Archaeologists have also unearthed shells, claws, teeth, and crystalline solids dating to 25,000 b.c.e. ; engraved with symbols and sporting small holes, the objects were probably worn as necklaces. In many societies, religious objects serve as amulets, e.g. deriving from the ancient Celts, the clover, if it has four leaves, symbolizes good luck (not the Irish shamrock, which symbolizes the Christian Trinity). Some forms of Buddhism have a deep and ancient talismanic tradition. In the earliest days of Buddhism, just after the Buddha's death circa 485 BC, amulets bearing the symbols of Buddhism were common. 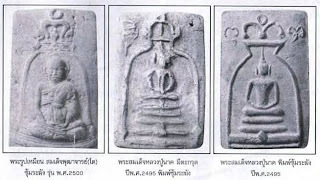 Symbols such as conch shells, the footprints of the Buddha, and others were commonly worn. 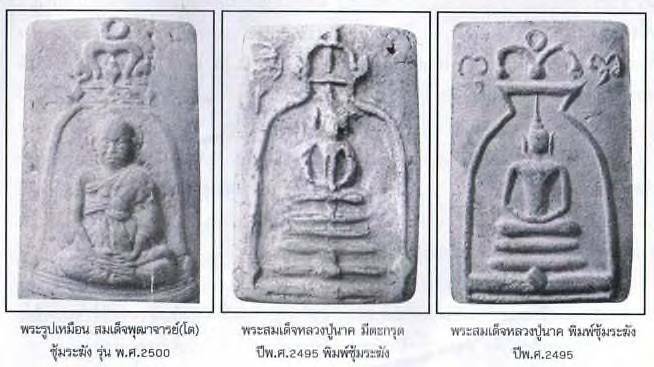 After about the 2nd century BC, Greeks began carving actual images of the Buddha. These were hungrily acquired by native Buddhists in India, and the tradition spread. In Bolivia and Argentina, the god Ekeko furnishes a standard amulet, to whom one should offer at least one banknote or a cigarette to obtain fortune and welfare. In certain areas of India, Nepal and Sri Lanka, it is traditionally believed that the Jackal's Horn can grant wishes and reappear to its owner at its own accord when lost. Some Sinhalese believe that the horn can grant the holder invulnerability in any lawsuit. The ringing of bells or death knells for the deceased is an old custom. Some authorities believe that the ringing of bells at times of death originated in the practice of seeking to frighten away the evil spirits that lurk beside a corpse, waiting the opportunity to seize the newly released soul. In ancient times bells were rung only when important people died, but with the advent of Christianity it became the custom to ring death during burial services for all church members. In medieval times, church bells were rung during epidemics with the hopes of clearing the air of disease. It was generally believed that church bells had special magical or spiritual powers, especially because of their position, suspended between heaven and Earth, guarding the passageway between the material and non-material worlds, frightening away demons. The sacred bell of the Buddhists, the ghanta, serves that spiritual expression in a similar manner, driving away the negative entities and encouraging the positive spirits to manifest. The very sound of a bell is a symbol of creative power. People along the west coast of Africa used to tie a bell to the foot of an ill child to ward off evil, and food was placed nearby to lure those spirits away. In contemporary times, bells above the door of a shop alert the shopkeeper that customers have entered. That practical function is predated by the use of bells over doors to keep evil spirits from entering into a home or shop. The usage of amulets seems universal stemming from the human desire for protection. The existence seems to extend from the cave dwellers to the present. As objects they come and go with fashion, taking on different designs and shapes, but their purpose remains the same. No matter how civilized a culture may be, amulets are present. whether believed to hold magical powers or powers of protection and luck or used as just an adornment. The individual history of each form of amulet is a very interesting subject that was fun to research. While their are some who do not believe in the power of amulets, many people take their talismans and amulets very seriously and hold strong beliefs in their powers.